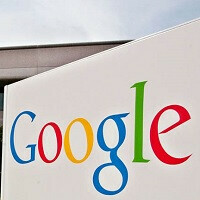 Google Wireless will launch with only one device supported, can you guess what it is? Google's Senior Vice President for the Android and Chrome divisions, Sundar Pichai, officially announced at MWC 2015 that Goolge is interested in becoming a wireless operator (MVNO), just as rumors previously suggested. Google isn't planning on taking traditional carriers like AT&T and Verizon head-on, however, and instead claims that its intentions have nothing but innovation at heart. A new report, courtesy of The Wall Street Journal, seems to confirm as much, for we're told that for the time being, only one single device on the market will work with Google Wireless – the Motorola Nexus 6. Google Wireless will make use of both T-Mobile's and Sprint's networks to offer calls and data to potential customers, with a (hopefully) seamless hand-off between Wi-Fi and cellular towers. The idea here is obviously to increase the quality of the service, and to keep costs down by using the aforementioned carriers' infrastructure as little as possible. To deliver a quality service while juggling between these two protocols, Google reportedly needed a "close coordination" between software and hardware, making the Nexus 6 the perfect pick. Any Nexus 6 owners intrigued by Google's proposition so far? This is great but many people will find the phone too big. They should offer the Nexus 5 as well. This really is great. I think someone should make a list of all compatible hardware. Just another reason to get a Nexus 6. I kind of wonder what the cost of the service will be? It's the phone the one unavailable. .
Off-contract Nexus 5 owner here; I'd be kicking the tires if/when Google expands to support the entire Nexus line. Nexus 6 owner here. If they have better deals than T mobile I'm surely switching service. Not that I have either but they should expand it to include the Nexus 5 as well. A coworker just bought a Moto X gen 2 on Republic Wireless which runs on the Sprint Spark network and WiFi and he has been raving about how good the service is. Google will surely make the service appealing. tis tis tis. I useally approve of google moves. but this no way.